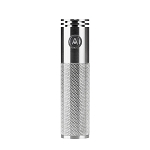 The Atmos Greedy M2 is an ultra convenient 510 threaded heating attachment that is made to be compatible with several different chamber options, making it compatible with both waxy essential oils and dried blends. 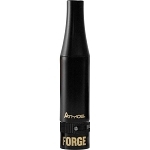 Combine this innovative cartridge with any of AtmosRX's Greedy atomizer heads for powerful wax sessions on the go. Atmos includes a dual titanium/quartz rod atomizer with each Greedy M2, making it ready to go for thick concentrates right out of the box. 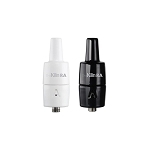 For thick essential oils you also have the option of attaching the Studio Rig ceramic or titanium nail chambers for increased efficiency (sold separately). For heating dry material you will find optimal results with the Studio Rig Embedded Ceramic Chamber. 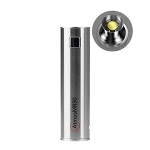 Add on the cutting-edge Atmos 100W Battery with automatic firing and you may just out perform the experience most portable dry vaporizers have to offer. 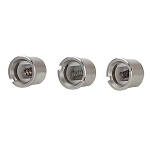 The chamber options do not end there, pick up the Atmos Female to Male 510 Adapter and your greedy will easily attach to many other chambers from AtmosRX for both thick oils and dry material. These chambers options include the Jewel, R2 Anodized, RX, RX Junior, and the Boss Dry/Wax attachments. If all of that doesn't already have you sold, the Greedy M2 Attachment also comes equipped with an innovative splash-prevention/easy-access mouthpiece system that keeps your vape game mess-free and makes refills on the go easy as can be. An adjustable bottom airflow control valve with dual air channels offers further control over the quality of your vapor output and features a premium stainless steel construction that will look like new for plenty of time to come. Everything is authentic and shipping was fast. Found after some time that 8-13w is best on various mods. A friend has had the same coil going hard in the original Atmos 6 months and its still going strong.